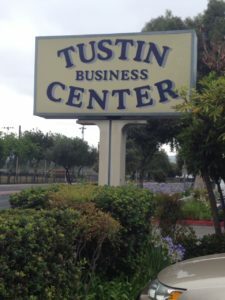 Our training center is located at: 17802 Irvine Blvd; Suite 123 in Tustin. We are off the 55 freeway, at the Irvine Blvd exit. Our cross street is Prospect. We are in the Tustin Business Center, across from Columbus Tustin Middle School.